Florida gets thunderstorms almost every day thanks to its unique climate. 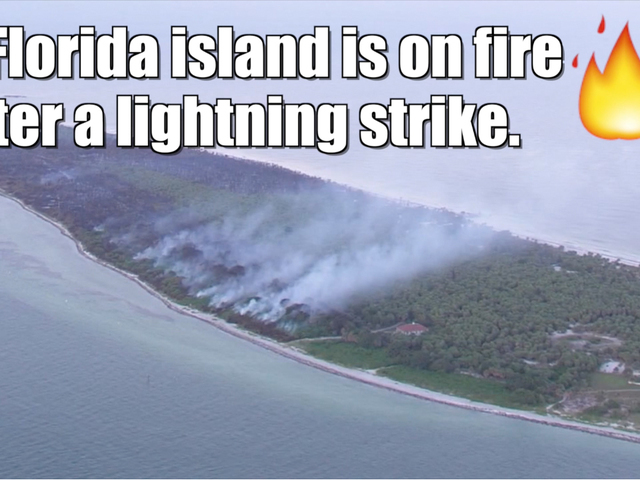 Earlier this week, one of those lightning strikes hit a tree and started a fire on Egmont Key near Tampa. It's a wildlife refuge where many birds nest and only a single park employee lives. Firefighters have had trouble extinguishing the fire because of a lack of resources on the remote island.